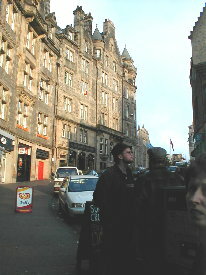 Following the successful campaign in London and Oxford the invasion force set its sights on the unexplored reaches of Scotland and the Highlands thereof. 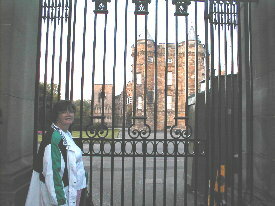 The principal purpose of the incursion was to visit CALLENDAR HOUSE. 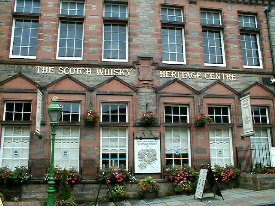 This venerable stately house was in the hands of Esther's ancestors until about 1305 when they chose the wrong side in the dispute between the King of England and William Wallace. We went to see about the rent. Berwick-upon-Tweed welcomes the traveler to Scotland. This town is the northernmost English town. The bridge, not a recent notion, was constructed in 1611. The boys get a first-hand look at the old buildings and stout stone walls. This may not be as easy as first thought. As the gloaming deepens, the eternal question of the traveler arises....where will we sleep? Unable to get a rise out of anyone at this impressive residence, Esther suggests that we look elsewhere for lodging. Upon closer inspection we learn that the impressive residence is in fact Holyroodhouse, the Queen's personal residence in Scotland. 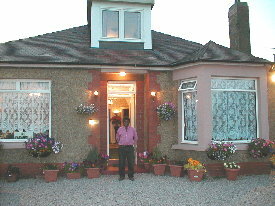 Mr. Bhoyrub, proprietor of an exquisite bed and breakfast was much more accommodating than the Queen's staff. 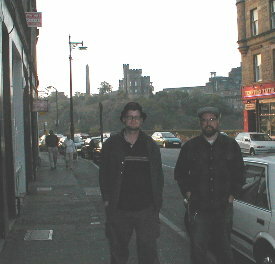 The next morning we set off to attack the principal fortification in Edinburgh known as Edinburgh Castle. But first a pause for provisions (NOT). 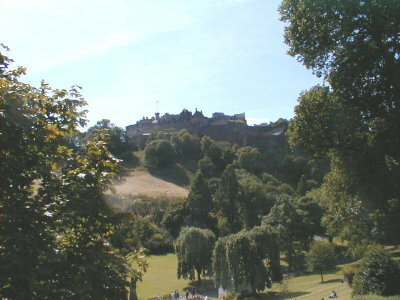 This is a panoramic view from the highest level of Edinburgh Castle overlooking the City. 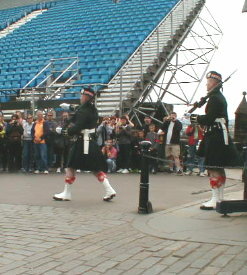 The changing of the guard Scottish style. The English guards at Buckingham didn't show any leg. The smile was about the same though. 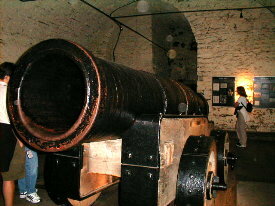 This cannon, known as BIG MEG was a gift to Scotland from the king of England. 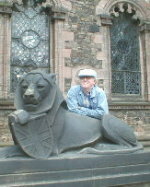 It was decisive in several sieges against English lords. 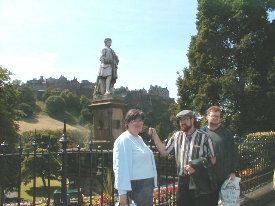 Three old friends take a moment to pose in front of a view of the Castle and a statue of a fine figure of a man whose name escapes me right now. 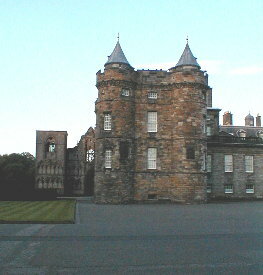 The Castle and its surrounding grounds are a beautiful and impressive sight. We left them standing out of respect to the local peoples.